Relax at the consistently enjoyable Microtel Inn and Suites by Wyndham Gassaway/Sutton hotel conveniently located off Interstate 79 near outlet shopping at Flatwoods Factory Stores, shows and events at Mountain Lake Amphitheatre, fishing and hiking at the scenic Sutton Lake, and horseback riding at Bee Run Riding Stables. 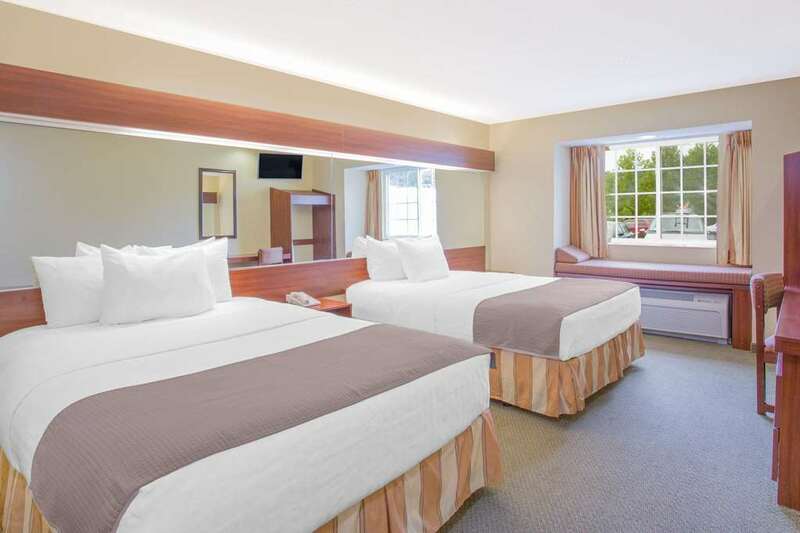 Ideal for business and leisure, this modern lodging offers 24-hour front desk service, complimentary car and large-vehicle parking, and meeting facilities accommodating up to 30 people, a business center and laundromat. Wake up to complimentary continental breakfast, and stay connected with complimentary high-speed Internet access. Guest room amenities include work desk, hair dryer and TV. Suites, smoke-free and handicapped-accessible rooms are also available. Pets are welcome at this lodging.